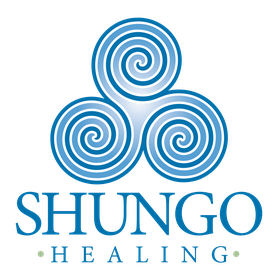 A energy healing session will be as unique as the individual, their needs and the current state of their energy body. Moira facilitates each session to engage with and listen to your energy system, allowing your inner healer to emerge forth and bring about movement, light, healing, and awareness where needed. Moira's approach cultivates mindfulness and a stronger relationship with one's authentic self and center. Sessions typically begin with checking the present state of your chakra's and a general smudging or clearing of your auric field. We'll talk about what your goal is for the session and your present state of being and from their you'll lay on a massage table fully clothed and we'll begin by rebalancing your chakras or some abdominal touch and where challenges present themselves different shamanic tools will be used. Their are a variety of tools used such as: healing touch, sound/vibrational healing, use of crystals, rattles, drumming, smudging, essential oils, soul retrieval, extraction, guided meditation, visualization, spiritual coaching, and conscious dialogue. It is best to arrive with an open mind and an open heart, ready to let go, receive, or call in what your highest self knows best. We'll talk of our experience as a reflection and a study in addition to recommendations for self care and reflection. Touch allows us to tune into the energy and emotions that may be stuck or inhabiting our physical body. In our sessions we'll talk of cultivating your personal witness or observer to help explore the subconscious and the emotions. Our spirit is vital to life and how we live and walk in our body. Spiritual healing happens when our subconscious understands and lets go of the energy and mindsets created by imbalances in our systems. Shamanic Energywork & Healing varies depending on a person's body and the movement of their energy and may involve tools such as movement, sound, aromatherapy, crystals, breath, plants, aspersions, visualization, guided journeying, mindful dialogue. Healing is about moving energy that is blocked and initiating a movement into a state of coherence. Spirit Healing comes from traditional Maya healers who believe there are spiritual diseases such as; susto (fright/trauma), pesar (grief/loss), tristessa (sadness/depression), coraje (anger), and envidia (envy/jealousy). It is believed that by clearing these heavy emotions from an individual, it allows one to walk lighter along their journey in this world. This beautiful practice can allow your conscious mind to rest and your unconscious mind to express itself through visualizations, emotions, and physical sensations. This can be helpful in both releasing and calling in different energies as well as bringing awareness to what is moving the the subconscious. There are many ways to incorporate sound and vibration such as tuning forks, singing bowls, rattles, drums, and voice. Sound moves energy and brings the body back to a place of resonance to allow the body to return to homeostasis. This may be through the use of smudging, essential oils, plant aspersions or sprays, or at home with herbal steams, tea infusions, herbal remedies. Herbs and flowers hold many healing properties and can be utilized in many ways to tone, balance, clear, align and support the physical, emotional and energetic systems. Indigenous healers around the world believe that when we experience trauma and shock, that experience can make a part of our souls split from our being. Through soul retrieval we work on making one's soul whole again. In shamanism there is no bad energy only misplaced or unbalanced energy. Through shamanic extraction we work with releasing energy that is not in alignment with your highest good. Misplaced energy can come from a person, place, experience or a thought form/pattern.